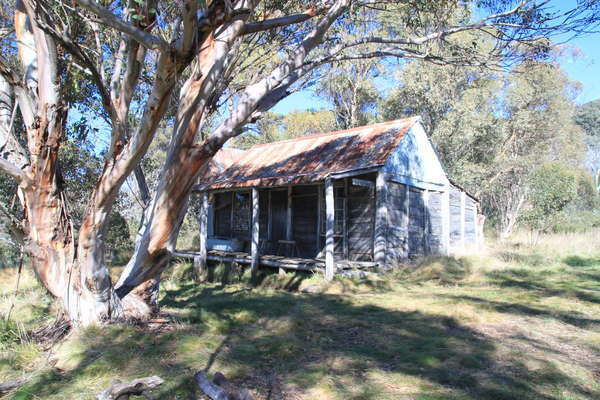 This trip was planned to be along one, taking in Snakey Plain, the rebuilt Pretty Plain Hut, Mount Jagungal and the old Thiess Village trail. 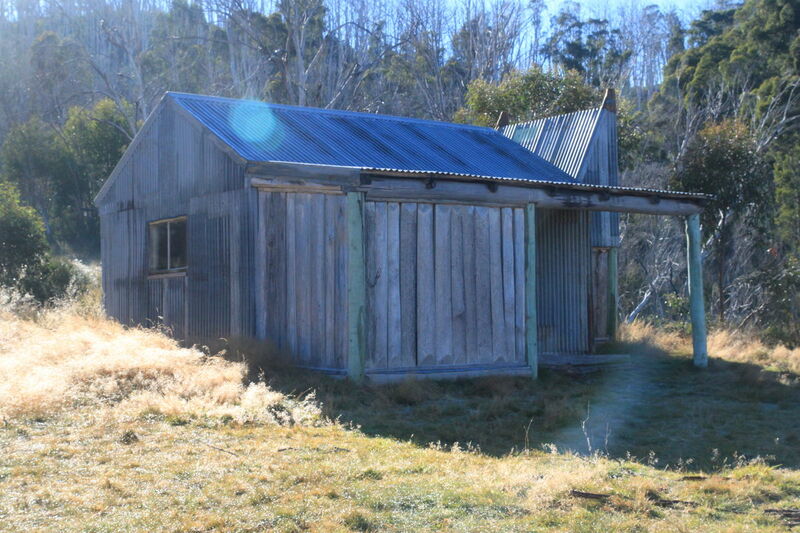 Unfortunately, it was cut a little short for various reasons, so ended up with a visit to the new Pretty Plain Hut via the Dargals Fire trail. 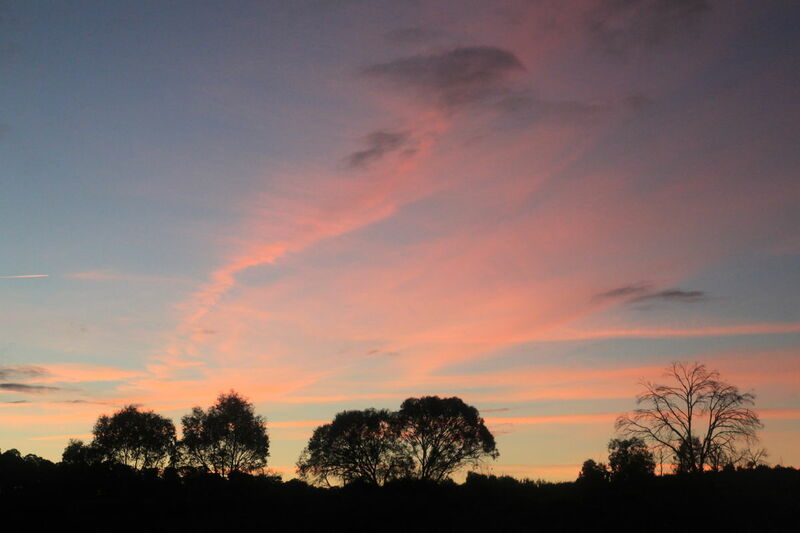 We left Wollongong around 2pm, and headed for the Tooma Reservoir. 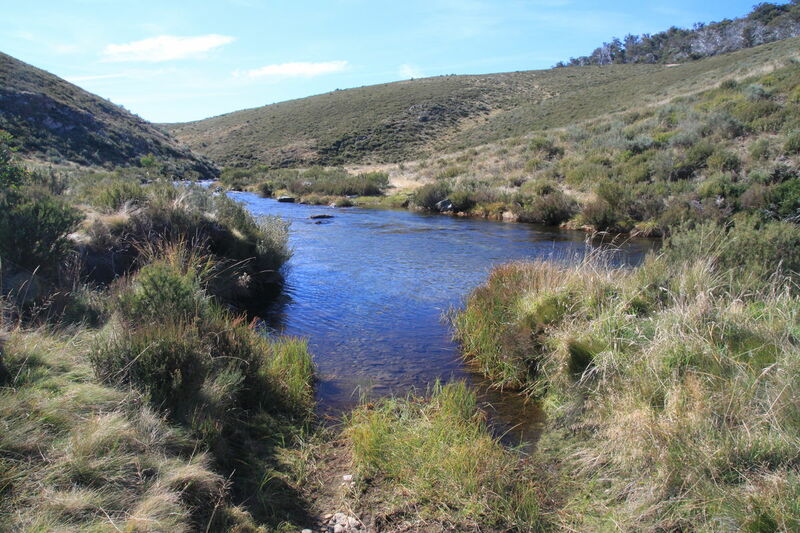 We went via Queenbeyan, Cooma, and Adminimby. We decided to park the car at the head of Dargals Fire trail which is where we intended to finish up in a few days time. We parked the car around 9:00pm and were underway by 9:30pm. 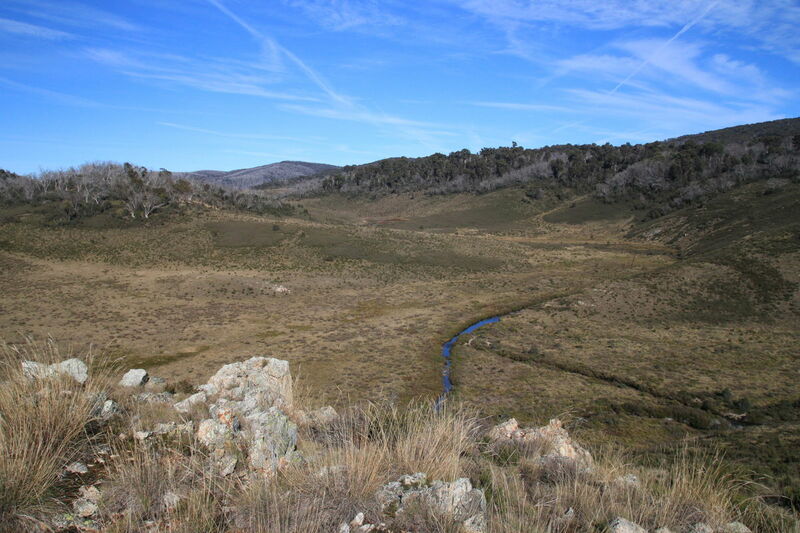 We followed the roadway over the dam wall, and up to the head of Snakey Plain trail. At this point we continued along to the trail to the top of the first "hill" after a very tiring walk! 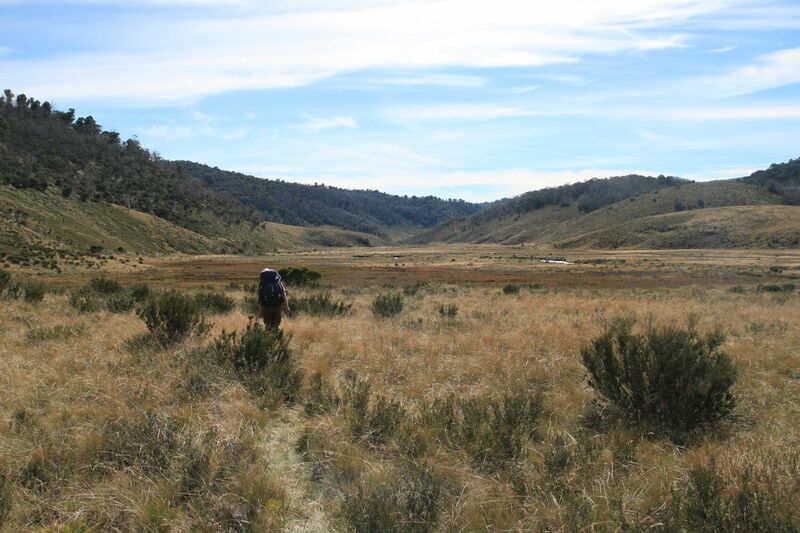 We found a relatively flat area to camp not far from SMA1009 and finally hit the bags at around midnight. 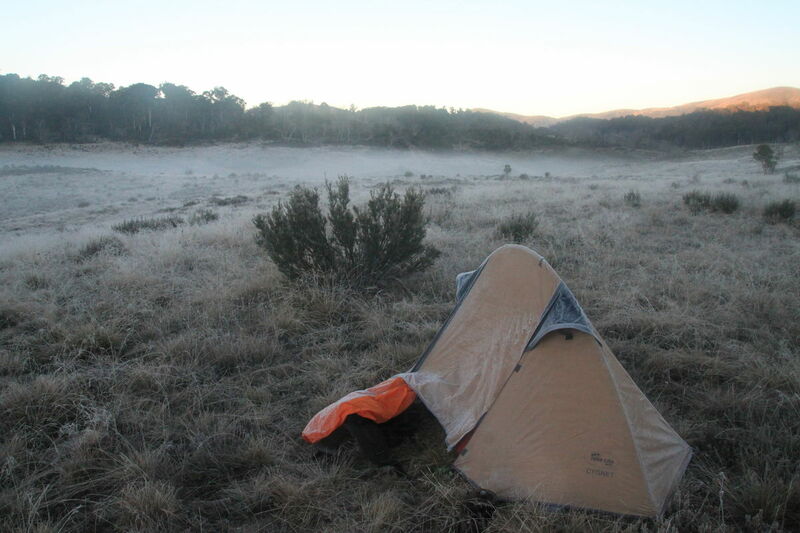 The night was below freezing, as expected with a nice frost on the tent first thing in the morning. The skies were clear though and the day ahead of us looked very promising. 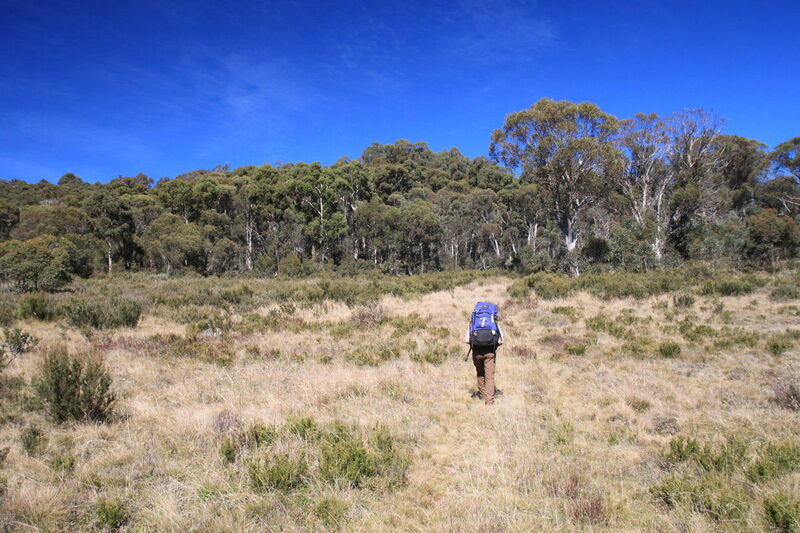 We were away from camp at 8:30am, and continued along Snake Plain trail to the south. The first point of interest was Snakey Plain itself. The area wasn't huge, but shortly after walking to the east, we found what would make an ideal camp site in the future. A beautiful grassy area, surrounded by trees and a lovely waterfall. We continued down the trail, which had now turned into Wheelers Fire Trail. We reached Wheelers hut at around 9:30am. 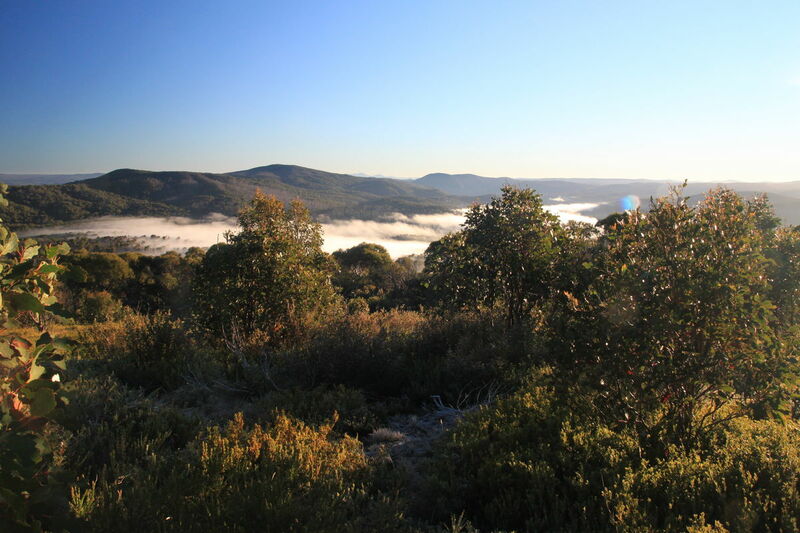 There were a number of campers still here, so we took some photos, left a log in the book and then head off cross country to pick up Dargals Fire trail a couple of kilometres to the east. In the log book, it indicated that a large group of people had already left the hut and were planning on staying the night at Pretty Plain hut. Eddy and I reconsidered out plans at this stage and came up with several alternative plans for the night - all of which fell by the wayside in the end! Once we got to Dargals Fire trail, the track headed straight up a rather steep hill. We climbed over 300m in just a short period of time and by the time we reached the top, we were both completely exhausted! We stopped at the top for lunch at 12:00pm in a nice grassy area with some sunshine to keep us warm. The next section of the trail was quite easy as it traversed along Broadway Tops. We had a marked waypoint at which we left the trail and headed down towards Pretty Plain creek. This is where things turned a little nasty! In hindsight, we should never have followed this track as it traversed along a simple spur at first, but then turned down to the creek line to the plain below. 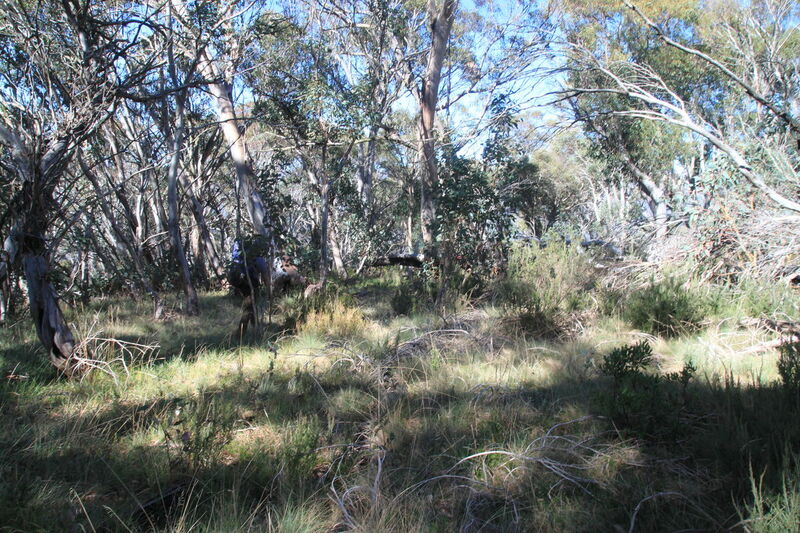 The track along the creek was steep, overgrown and very difficult to traverse. It took a toll on both of us, and by the time we reached the bottom, we were both exhausted and broken! We decided to cross the plain at the bottom and then find a camp for the night. 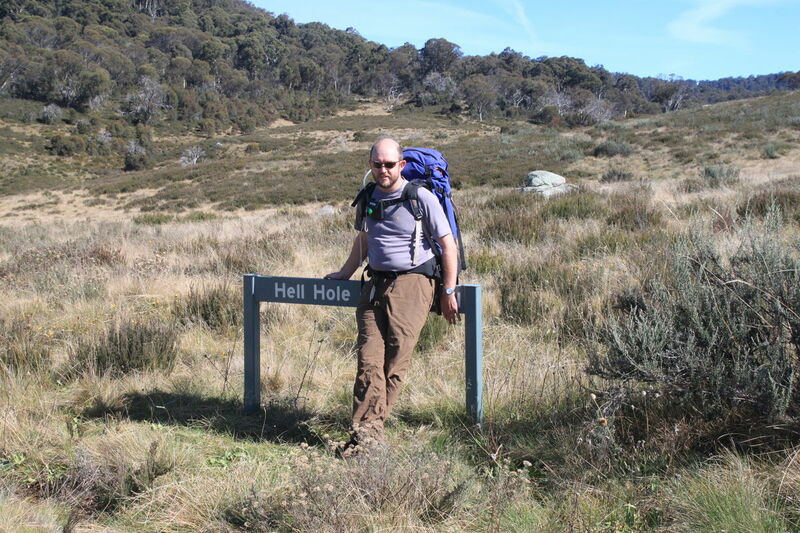 We only a few hundred metres from Pretty Plain hut, but decided to make that visit in the morning before heading up the plain and back to the car. We awoke to a very cool morning and a very thick frost covering everything. The temperature was still around -2 degrees, and the skies very clear. We broke camp around 8:30am again and headed over the ridge to the plain on the other side cut by Bulls Head creek. 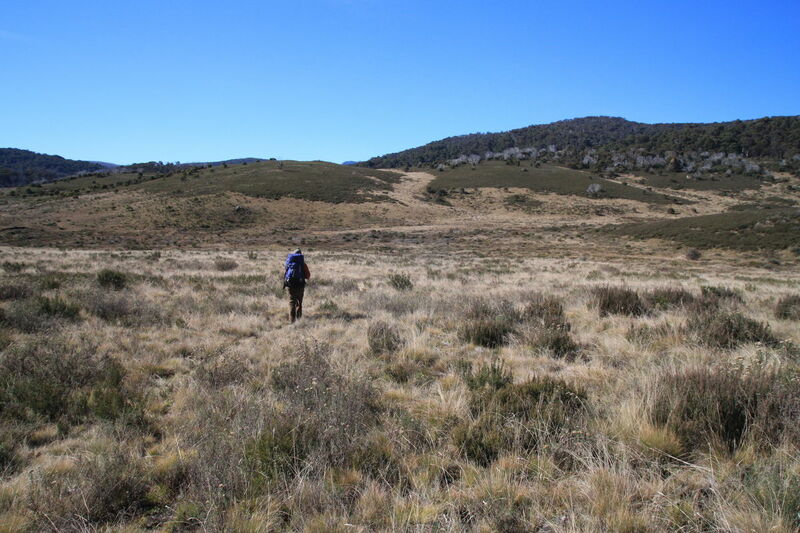 We dropped packs at the bottom and travelled about 500m south to the site of the newly rebuilt Pretty Plain hut. There were still a large number of people here that were just breaking camp. The hut was fantastic. 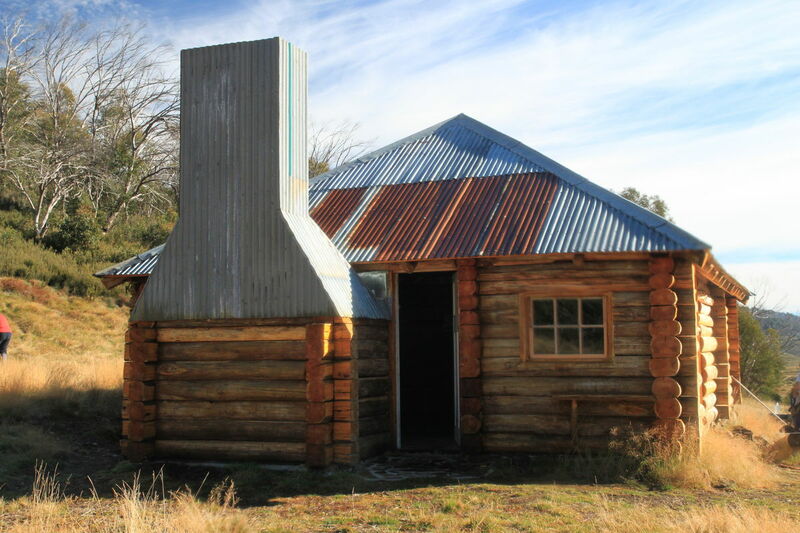 Rebuilt in the original log cabin style. The entrance was a little hard to find though as Eddy and I found ourselves in the wood store at first by entering what we believed to be the main entrance! After spending some time here and talking to the hikers, we started our trip back up Pretty Plain. 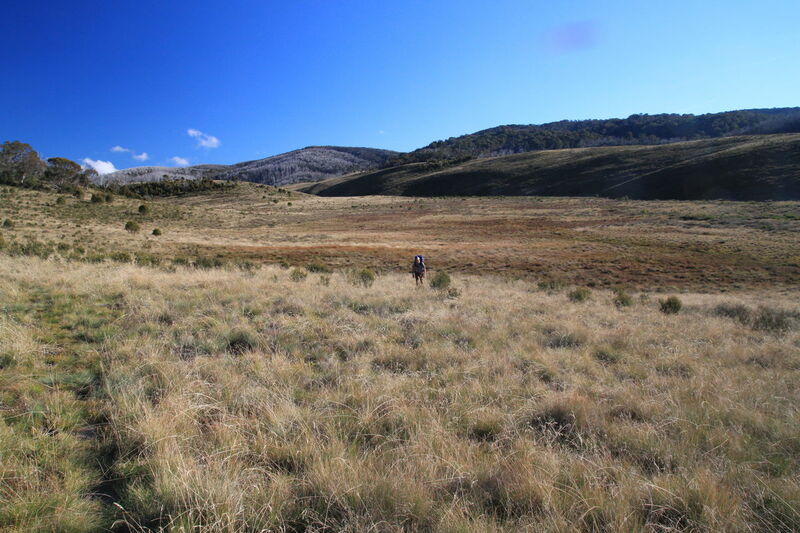 We located the foot pad that led all the way up the plain which made going very easy. We did pass a couple of recently used campsites along the riverside which would also make great locations for a night in future. We reached the top of the plain and Hell Hole creek fire trail for an early lunch just before midday. Feet in the river told us that crossing the Tooma this afternoon was going to be an invigorating experience! Shortly after we started down Hell Hole creek fire trail we passed another hiker that had just crossed the river and he informed us that the depth was, lets say "high thigh" deep! We reached the crossing at Tongue Bend at around 1:30pm. There was no going around, se we just pulled the packs up a little higher, and headed straight across, boots and pants still intact! Yes the water was cold, deep, but we made it across without incident. We didn't even bother drying off, we just kept going along the trail heading north, which was now Dargals Fire trail again. We found a nice spot to camp early in the afternoon just a couple of kilometres from Patons hut. We had a good water source, plenty of fire wood and a spot to watch the sunset from. Once again, the night was going to be a cold one as the skies were perfectly clear. We rose to a temperature that was still well below freezing at -4 degrees! 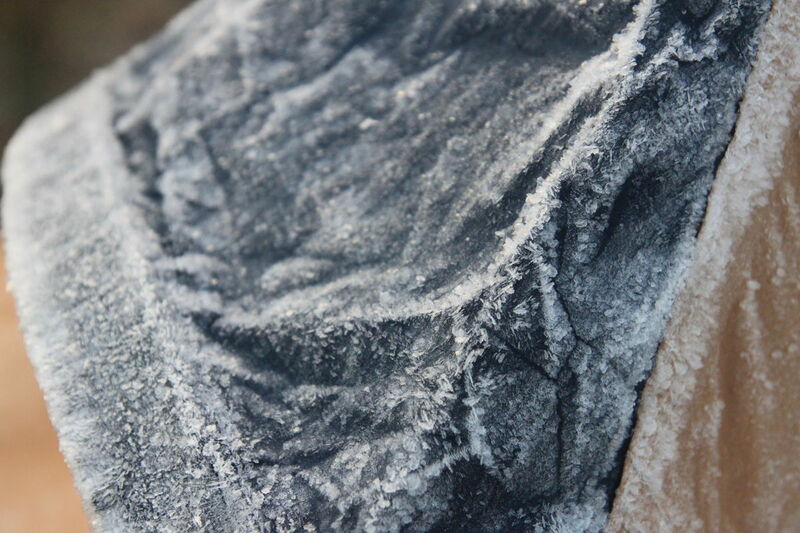 The thickness of the frost indicated that it probably got much colder overnight. 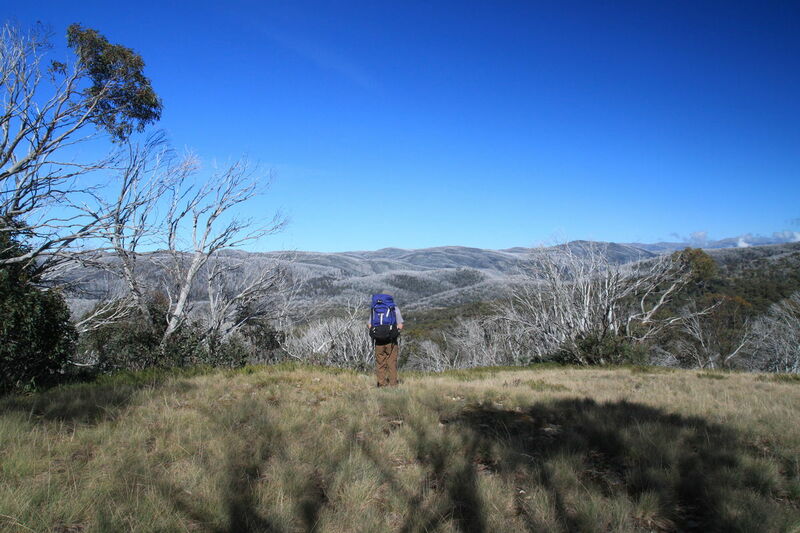 We had a slow and relaxed morning before heading north again along the trail to Patons hut. We left camp at 8:30am. 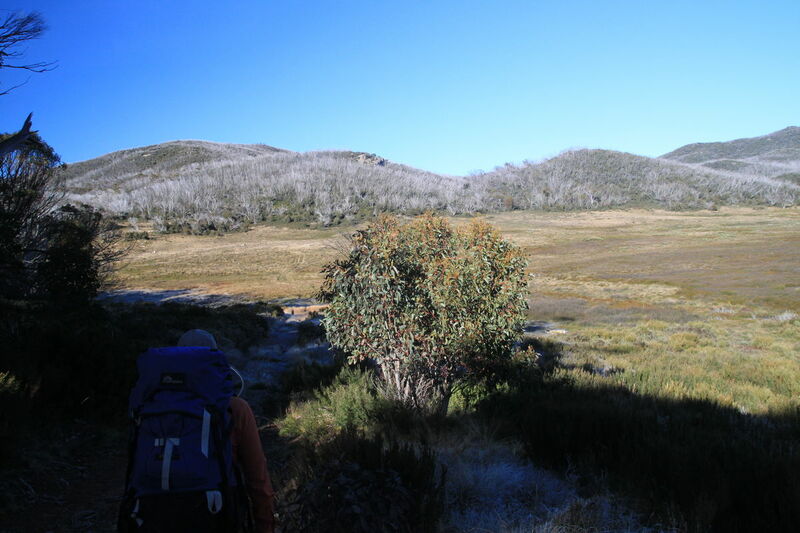 We reached Patons hut just before 9:00am after passing the very overgrown Thiess Village trail. 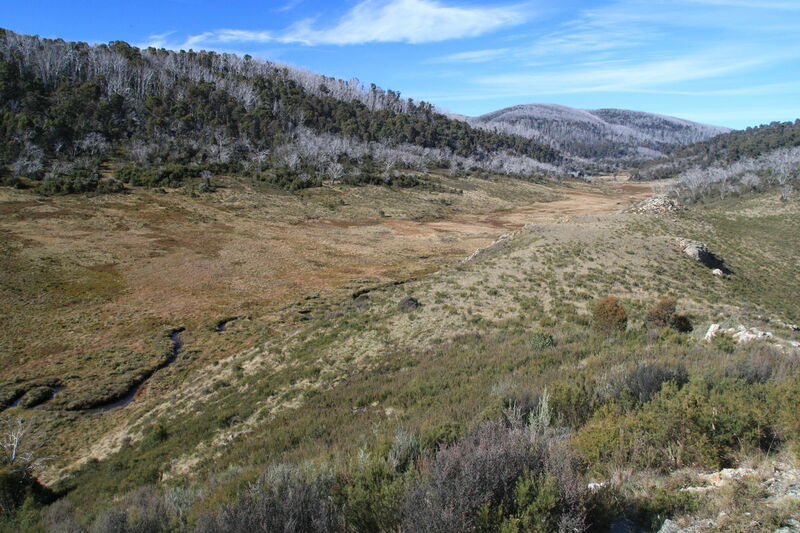 Entries in the Patons hut log indicated that people have used the trail recently, but it is very difficult to follow. But still, it gave us confidence to add it to a future plan. We finally reached the car at around 10:00am, as it was also only a couple of kilometres along the trail. 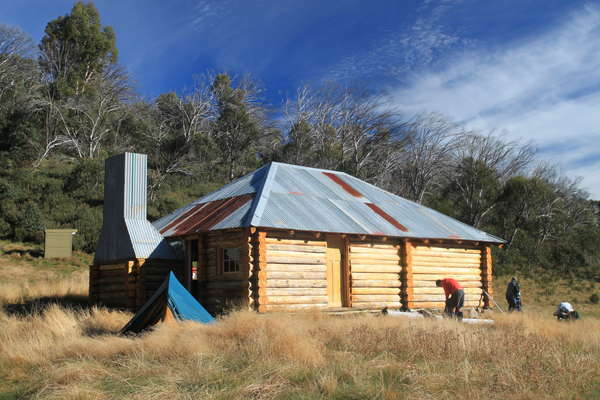 So although we didn't manage to achieve all of our goals on this trip, we did get to see the new Pretty Plain hut, and traverse along Snakey Plain and Dargals fire trail which were both new sections of the park for both of us. Download GPX data for KOSI_PRETTY_PLAIN_TO_JAGUNGAL.